Take Care’s mission is to provide unwavering commitment and excellence in private duty home health care and RN geriatric care management that clients recommend to family and friends, physicians prefer, and where employees are proud to work. It is with great pleasure that Take Care announces the promotion of Alicia Uelmen, RN to the position of Clinical Services Administrator of Take Care Private Duty Home Health effective immediately. 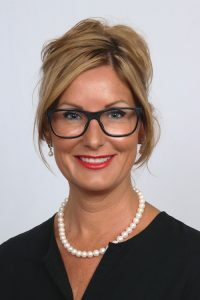 In Alicia’s new role, she will assume administrator responsibilities for both Take Care of Sarasota which includes the Sarasota, Venice and Port Charlotte offices and Take Care of Manatee. Alicia has demonstrated a dedication and commitment to Take Care which we know will continue as she takes on this new position. With the promotion of Alicia, Take Care continues a proud tradition of fostering and growing leadership talent within our company. Please join us in congratulating Alicia on her promotion! My wife had recent surgery and needed care around the clock. The support I received from the office nurse on care placement was exceptional. The care provided 12 hours nightly by the nurse, Stacy, was superb. She was above and beyond professional. We could not have done it with out her. Thanks to all involved.